Depressing, gloomy, serious, dark, and disturbing are the usual words that cross my mind when I think of movies from Denmark. Thanks to filmmakers such as Lars Von Trier (The Kingdom, The Idiots), Nicolas Winding Refn (Valhalla Rising, Pusher), Susanne Bier (In a Better World, Brothers), and Christoffer Boe (Reconstruction, Allegro), I have had this stereotype about Danish films for many years now. Even my memories of Babette’s Feast – the first Danish movie that I saw when I was eleven years old – remind me more of repulsive and dismal scenes rather than scenes of delicious-looking food. There has to be some uplifting Danish films that have existed over the years, but for now, I was fortunate to find Erik Balling’s Martha – a 45-year old film that is the most cheerful and funny Danish film that I have ever seen. 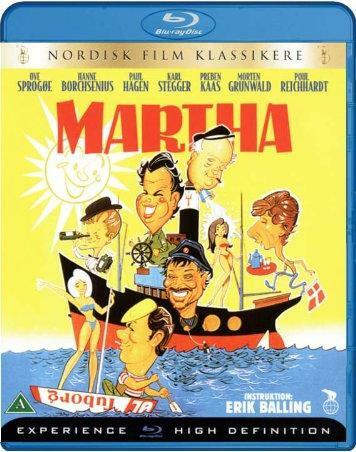 Martha is considered to be one of Denmark’s most popular cult-comedy films, especially popular among Danish sailors. The movie is about a very old freight steamer named “Martha” that is practically falling apart and barely floating on water. Forgotten by the Danish shipping companies and laughed at by competing Norwegian ships, the lazy crew takes advantage of their ship’s weakness. They sit around all day drinking alcohol, spend most of their budget on extravagant fancy meals on board, make stops on shore to drink and party at local pubs, and even try to hook up the youngest crew member with a prostitute. Old habits change when the ship’s strict owner, his wife, and their beautiful daughter surprise the crew with intentions of spending some time on board. I was skeptical about being entertained by a bunch of drunk slobs for 93 minutes, but the characters in Martha are so funny and entertaining, I was hooked immediately. I was also skeptical that the movie wouldn’t be funny for non-Danes, but I was also wrong since Martha is an example of a perfect old school European comedy that anyone can enjoy, and the characters and storyline are universally understood. The cinematography is also wonderful – with great shots of the sea, the ship, and port towns. The whole movie felt like it was filmed out at sea. I don’t know if they filmed any scenes on a set because even the indoor shots felt like they were at sea. Martha’s impressive direction by Erik Balling makes me want to seek out more movies from this director. The Danish Region B Blu-ray from Nordisk Film Distribution is nearly reference quality for a film from 1967. Martha was my first Danish Blu-ray so I really didn’t know what to expect, but after viewing this Blu-ray, I reminded myself that Scandinavia is, after all, known for producing quality products! I’m happy to report that this cult-comedy classic has received full respect regarding the Blu-ray video and audio quality. The 1080p 1.66:1 image looks amazing! With a slight touch of grain, the print is spotlessly clean and its sun-baked scenes of the ship out to sea excel with an impressive level of crisp detail. Color saturation and blacks look great too. The Danish DTS-HD 2.0 sounds as wonderful as this type of mix can sound. Dialogue is absolutely clear and the realistic ship sounds and catchy music never overwhelm the dialogue. Even with a front-heavy 2.0 mix, the audio still felt immersive and I felt like a passenger on the ship. The English subtitles were perfectly translated and a Danish DD 2.0 audio choice, as well as Danish, Swedish, Finnish and Norwegian subtitles are also included. No extras are on this Blu-ray. Martha is a great Danish comedy and makes one want to go sailing on any kind of ship – a cruise ship or even a beat-up rusty one. Even though this film would make a nice double feature with The Life Aquatic with Steve Zissou, Martha feels so much more special than Wes Anderson’s film. Released on an impressive quality Blu-ray, I highly recommend you all to check out Denmark’s Martha! For anyone that wants to see if Jean Dujardin is the real deal after winning the Best Actor award for The Artist, check out Jan Kounen’s 99 Francs – one of the best French films from 2007. Based on the cult-classic French book by Frederic Beigbeder, 99 Francs is the perfect film to be double-featured with David Fincher’s Fight Club. The coincidences between the two movies are absolutely eerie. Both novels by Beigbeder and Chuck Palahniuk are cult classics that criticize society’s obsession with consumerism and advertising. Jan Kounen is the French version of David Fincher – their creative style of filmmaking is basically the same. And both films star leading men – Pitt, Norton, and Dujardin – who create extraordinary performances that most leading men actors could not pull off so well. 99 Francs is about Octave (Jean Dujardin), an obnoxious advertising executive who works for a famous advertising company. Octave is so successful at his job that he’s the type of person that could create advertisements for plain pieces of paper and make millions. He is rich, successful, loves cocaine, and loves his job. But once he finds out that his girlfriend Sophie (Vahina Giocante) is pregnant, his lifestyle and perception of the world around him changes. Unable to deal with the reality of pregnancy, his life goes from one extreme to another. His job becomes a joke to him, realizing that advertising just seems totally ridiculous, especially challenged when he’s in charge of creating an advertising campaign for a new yogurt called “Madone” (which is obviously parodying “Danone”). Just like in Fight Club, 99 Francs is a visually creative and intense movie filled with unique special effects and camera tricks that builds up to an unpredictable explosive climax. I’m very thankful for Canadian DVDs to consistently release French movies with English subtitles when their French DVD counterparts do not have English subs. This Canadian DVD of 99 Francs is currently the only English-subtitled version of 99 Francs out there. I wish I could say that the DVD has awesome quality for such a visually spectacular film, but it’s not so. The video quality does suffer more than the audio. The anamorphic 2.35:1 image is not going to be impressive on big HDTVs. While the rich colors are reproduced perfectly, the image is plagued by a somewhat blurry transfer. While not at as distracting or annoying as an interlaced DVD, the video quality should have been much better, especially for this type of film. The good news is that we are not alone – I thought that non-French speakers were being screwed, but actually, everyone got screwed – I read online that the non-subtitled DVD/Blu-ray versions from France also have poor video quality. With that in mind, the DVD is totally acceptable. Even if Dujardin’s Oscar win improves the chance of an English-subtitled Blu-ray from North America, UK, or Australia, I won’t be surprised if the transfer will be pulled from the French Blu-ray master. Instead of waiting ages for a better hypothetical Blu-ray version of this film, this Canadian DVD is worth the money. 99 Francs is such a good film, you’ll forget about the faults of the video quality as you watch this film. The French Dolby Digital 5.1 is fortunately better than the video quality. The audio is a perfect mix, mainly focusing on front speakers with absolute clarity and depth. Surround speakers are mainly used for atmosphere. Subwoofer is generously used throughout the film as well. 99 Francs is the type of film that would have benefited from a DTS track, but overall, the DD 5.1 is quite good. English subtitles are perfectly translated. Non-French speakers will unfortunately miss out on the two commentaries and documentary because they don’t have English subtitles. 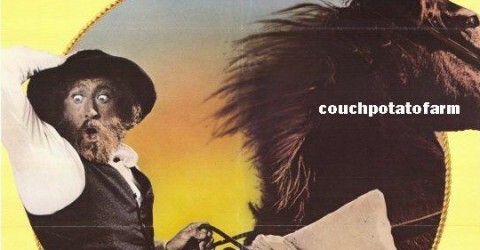 For anyone that is disgusted with advertising nowadays, 99 Francs is the movie that breaks down the absurdity of it all. Fans of Jean Dujardin and Fight Club must check out this movie, but I recommend 99 Francs to everyone! 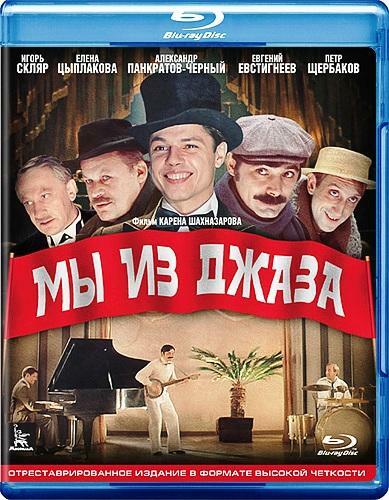 Russia sure knows how to make even an upbeat and energetic film seem depressing – Russia’s JAZZMEN is about a jazz band of four men that struggle to find gigs in Russia during the 1920s. All they want to do is play jazz for the people, but they get resistance everywhere they go. If they are performing for the rich, they are supporting the bourgeois and get put in jail. If they are performing for the poor, they have to censor themselves. Music experts don’t like them. Regular citizens think their music is not traditional. They can’t even find a singer for their band – they try out a female Cuban singer (who’s just a Russian actress in black face). They even want to try out a hot Russian female singer who thinks their band is a joke. And no matter where they go, everyone thinks that they are supporting capitalist America. This movie is basically about a bunch of hard-luck musicians fighting an ignorant society. The depressing aspect of the film is that the only way that this band can gain recognition and have jazz become respectful in Russia is if a top-ranked military officer endorses them. And sadly, that’s how Russia really works even today. It’s a military-obsessed state where it’s the type of place to prefer an endorsement of a general, policeman, or politician rather than someone in the entertainment business. JAZZMEN is full of catchy tunes so the film does satisfy for the musical lovers. It’s a bit funny that all the actors aren’t really playing their instruments though. They are trying real hard to be in synch with the jazz music (I’m guessing that the director, Karen Shakhnazarov, just dug up some snazzy jazz records and told his actors to pretend to play those songs). The acting is decent. You’ll get a kick out of the leader of the band, the piano player, who looks like a cross between Matt Damon and Mark Hamill. The guitarist has an amazing mustache. The saxophone player is overwhelmingly jolly. And the drummer reminded me of the blond goofball from Trainspotting. The Russian Region-free blu-ray is not only a solid home video for English speakers but it’s your only choice because the Russian DVD never had English subtitles. If you want to see this movie with English subtitles, voila! The 1080p 1.37:1 is quite solid. The video is crisp, clear, and clean. It’s neither three-dimensional nor is it soft. It’s just an all-around satisfying video experience. I have a feeling that this blu-ray probably looks better than the way it was projected in Russian theaters back in 1984. The DTS-HD 5.1 is very good. 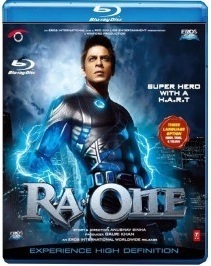 Even though the movie was originally recorded in mono, the audio felt very natural and not artificial – dialogue was clear, speaker separation was present in a good way, no hissing was anywhere, and the music in this movie reminded me that I was in fact watching a blu-ray – music enveloped the room in a very satisfying listening experience. The English subtitles were just good too – there were a few grammar mistakes, but overall the translators created respectable English subtitles, especially since this blu-ray sure isn’t marketed outside Russia. There are no extras on this blu-ray. This bromantic Russian musical is an entertaining watch, but it’s nothing great nor nothing bad – basically a pretty fair flick actually. I have seen many Russian “classics” of the 1970s and 1980s and I just want to remind everyone that Russian classics are usually only classics to Russians, besides Tarkovsky. It’s tough growing up in Russia though, so let them enjoy their fair classics!